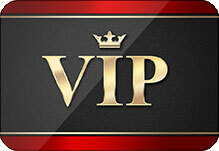 As a MasterPro customer, you are a VIP! MasterPro values your business, and will give you outstanding customer service. But it doesn’t end there….As our satisfied valued customer, anytime you refer MasterPro to your friends and family, you can receive a $100 gift card! In addition…..Your friends and family will receive an instant discount of $100 just for mentioning your name! That’s right, you both earn $100 each in rewards and savings. That’s a win-win for everyone! There’s no need to look farther than your own community for expert storm damage repair! For the best service, the best products and the best workmanship at the best price, the choice is MasterPro Roofing and Exteriors. Let us demonstrate why so many homeowners turn to us when they need fast storm repairs. Call us today at (866) 977-3808 to get on our schedule! VIP Referral Program details: *To receive the $100 gift card reward, the referred customer must have a signed contract with MasterPro Exteriors LLC for a roofing or siding job over 1500 square ft, and it must be completed and paid in full. The referring customer shall receive their gift card by mail within 30 days after Masterpro has been paid in full on the referred client’s contract. **The $100 discount shall be taken off the selling price for the referred client on the day of the written contract.